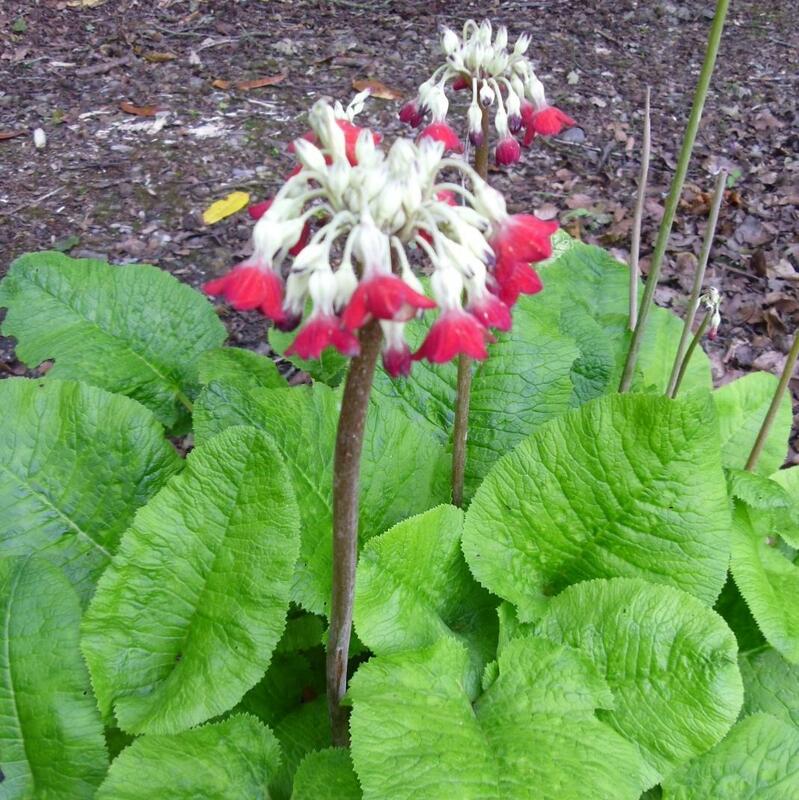 Primula florindae, the Tibetan cowslip or more commonly known just as the giant cowslip, is native to south-eastern Tibet, where it grows in huge numbers close to rivers such as the Tsangpo. It is a substantial herbaceous perennial growing to 90cm (35in) tall by 90cm (35in) wide. In summer the flower stalks rise from basal rosettes of 5–20cm (2–8in) long leaves and the flowers are typically yellow. 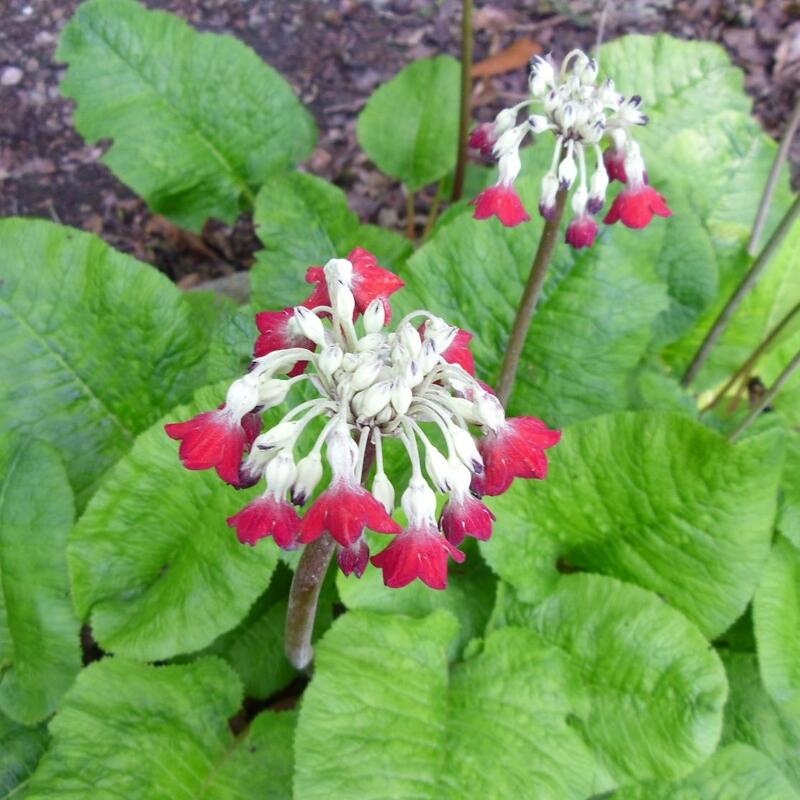 In this beautiful variety the flowers are coppery red in clusters of 20–40. Pendent and bell-like, they are delicately scented with a mealy white bloom, or farina. The yellow flowered form of this species was first collected in 1924 by Frank Kingdon-Ward and was named after his wife Florinda. 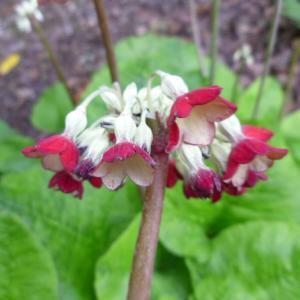 This plant grows best in very moist or waterlogged conditions in partial shade, as its natural home is the margins of rivers. It is very cold-hardy if its roots are not allowed to dry out.